The three houses each provide spacious and well appointed accommodation over three levels. 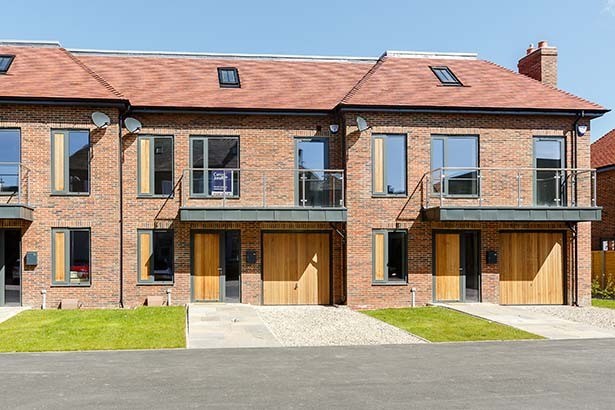 The ground floor includes an entrance hall, cloakroom, study, utility room which provides access into the single garage and a dining kitchen with French doors leading out onto the landscaped rear garden. On the first floor is a sitting room which benefits from a south facing balcony, principal bedroom with an en suite shower room, guest bedroom and a house bathroom. There are two additional bedroom suites on the second floor. Outside, the property is approached via electronically operated wrought iron gates which lead to the private parking and in turn giving access to the single garage. To the rear of each house is a private landscaped garden.